The attorneys and staff at Cole Law Group are proud to live and work in Greater Nashville, and we are grateful that many of you have chosen our firm to help you with your legal needs. We are deeply committed to this city and its surrounding communities and want to give back by becoming involved in local initiatives that focus on a wide range of causes and goals. Such a spirit of philanthropy and dedication, shared by everyone at CLG, led to the establishment in 2018 of Cole Law Group's Compass Program. 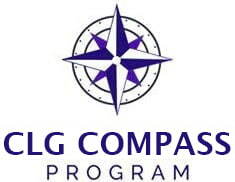 The purpose of the CLG Compass Program is to engage members of the firm in donating to non-profit organizations, fulfilling public service leadership roles, supporting fundraising efforts for those in need, and volunteering their time to assist various charitable organizations. Even though the CLG Compass Program is less than a year old, the enthusiasm and effort of our team is endless. And this is just the beginning! 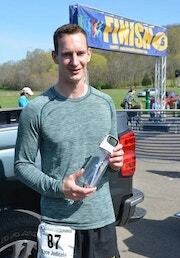 Attorney Paul Tennison participated in the Nashville Bar YLD's annual LOGICFORCE Race Judicata on April 6th, finishing 1st in his age group and 5th overall out of 132 5K runners! Proceeds from the race benefit two local charities--Able Youth and Achilles International Nashville. ABLE Youth, located in Nashville, uses sports as a motivating catalyst for kids who use wheelchairs to reach goals of independence. Achilles International Nashville began in the spring of 2012 and has grown to be one of the largest Achilles organizations around the world. It encourages athletes with disabilities to participate in events that promote personal achievement and active lifestyles. 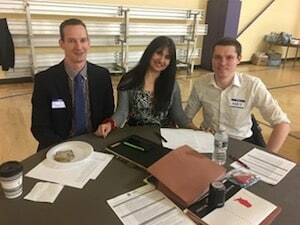 Attorneys Paul Tennison and Andy Goldstein volunteered at a workshop organized by the Tennessee Immigrant and Refugee Rights Coalition on Saturday, February 16th. They were accompanied by Immigration Paralegal Linda Bandry. The purpose of the workshop was to establish power of attorney for the designated guardians of children who could be left behind in the event that their parents are detained or deported. CLG volunteers also helped review a checklist of documents that families need to gather and secure in a safe place. Such family preparedness provides emotional stability for both parents and their children. Community outreach within Davidson County that teaches proper pet care and the responsibilities of pet ownership. Volunteers are needed to help NHA accomplish their mission. Click here to view volunteer opportunities. The Legal Aid Society of Middle Tennessee and the Cumberlands, which provides free legal help to low-income and vulnerable people, is Tennessee's largest non-profit law firm. The organization consists of eight offices and thirty-two attorneys spread across forty-eight counties. LAS's legal counsel accepts civil cases that focus on the following five specific needs within our community: Employment matters; Health & Benefits issues; Housing matters; Consumer issues; and Family & Domestic Violence cases. They provide aid through self-help resources, walk-in clinics, staff lawyers, volunteer lawyers, and referrals to other free legal help. To learn more about this worthy organization, visit their website. The Salvation Army's motto is "Doing the Most Good," and they are "Doing Good in Nashville" very well. This provider of social services is the single largest organization of its kind within the United States. It partners with churches, charities, and other organizations to meet the emotional and spiritual needs of our community. The Salvation Army works 24/7 to support a range of programs that include: After school programs; Summer camp; Supportive housing; Disaster response; Emergency services assistance; and Life skills classes. If you wish to learn more, you can visit their Talk and Tour page by clicking here.